This blog is my storage space for various thoughts, observations and musings centering on shōjo manga (少女漫画, Japanese comics for girls and women), but also josei manga (manga for adult women), seinen manga (manga for adults, but more specifically for men) created by female artists or in extremely rare cases BL (boys’ love). I must admit I just don’t stray too far from shōjo manga when it comes to my comic reading habits which explains the emphasis of that type of manga as represented on this blog. Related fields of interest like Japanese pop culture in its various forms, but also music, literature, art, fashion and film in general may be discussed here as well. 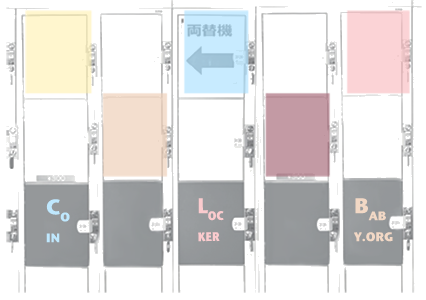 The blog’s name was inspired by Murakami Ryū’s novel Coin Locker Babies (Kōdansha, 1980). I started this blog in 2001 and it can be found under this domain since 2002. Yes, that’s a lot of time. It’s only natural that life affects people and changes their tastes and opinions. This means that some of my older posts may not accurately reflect my present interests or opinions. But anything ‘ancient’ that is still here is so because I consider it relevant or useful in some form. After a long hiatus, coinlockerbaby.org was brought back to life in February 2017. Some features might not be working correctly at the moment. Other elements will be implemented at a later time. I apologize for any inconvenience. For complaints and requests, please refer to the contact information on the right side. Japanese/Korean/Chinese personal names are usually given in their original order: family name (surname) first, followed by the given name. Out of routine and habit, I may keep honorary suffixes (-chan, -kun, -san, -sensei etc.) attached to character names in reviews. I’m using the Hepburn romanization system. There can be slight deviations from it, for example when a person or a company stylizes their name or the title of a series differently from the standard system of romanization. Macrons are used for long vowels except when I get tired of them and use circumflexes ;) Words of Japanese origin are in italics unless they are commonly used in English. The author of this blog is not affiliated with or working for any publishers or artists unless an affiliation is clearly mentioned in an individual post. Images in posts are used for educational purposes only. Their copyrights belong to the respective publishers and artists.